1. Relief map, sample area. 2. 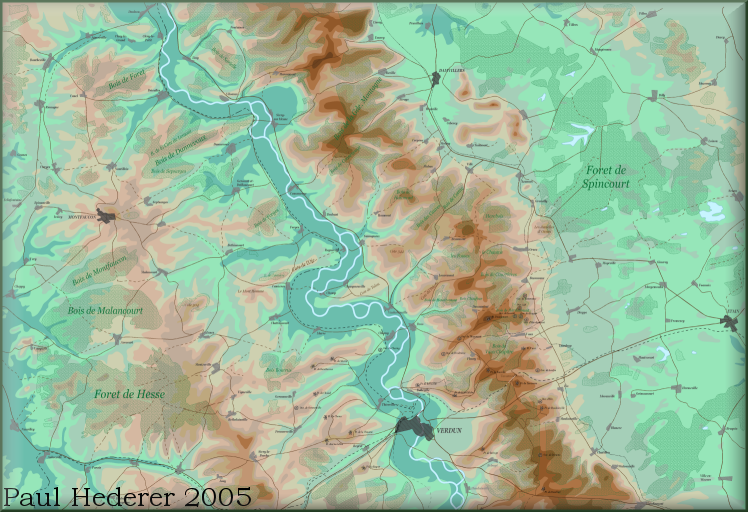 Overall map, shown 1/4 size. Contours are 20 meters. 3. Detail map, showning map at actual size. 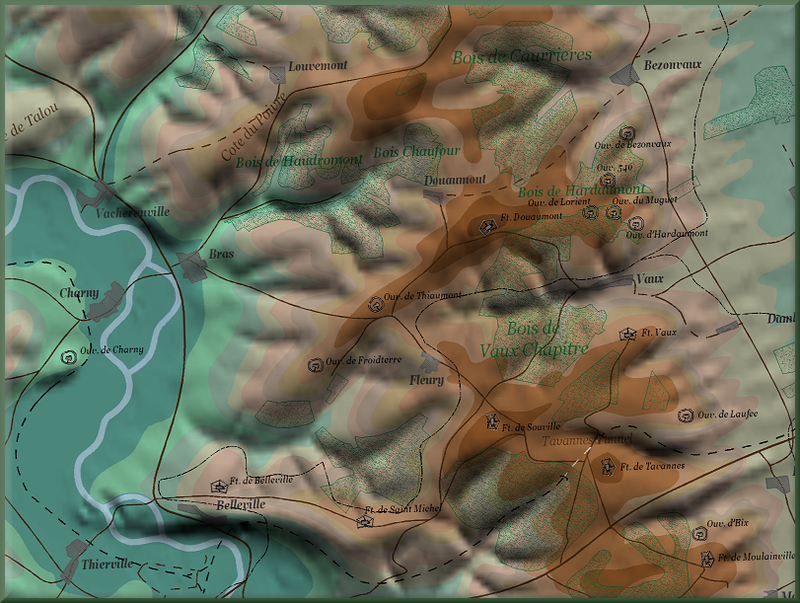 Area around Fort Douaumont. 4. 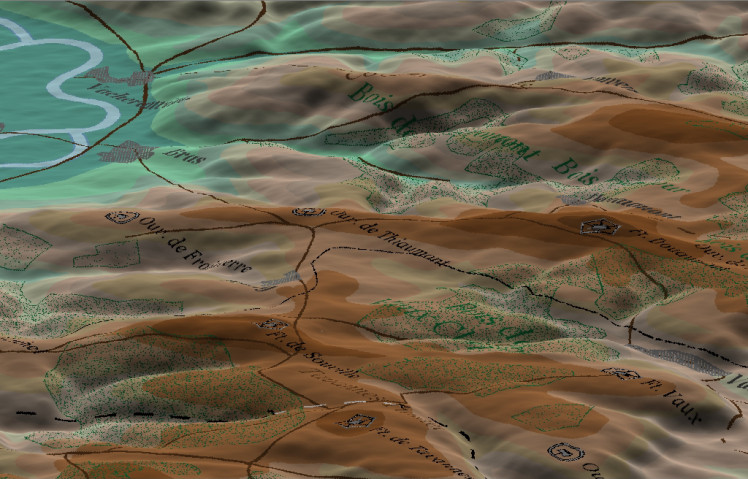 3D topographic map, looking NW over Fort Douaumont. 5. 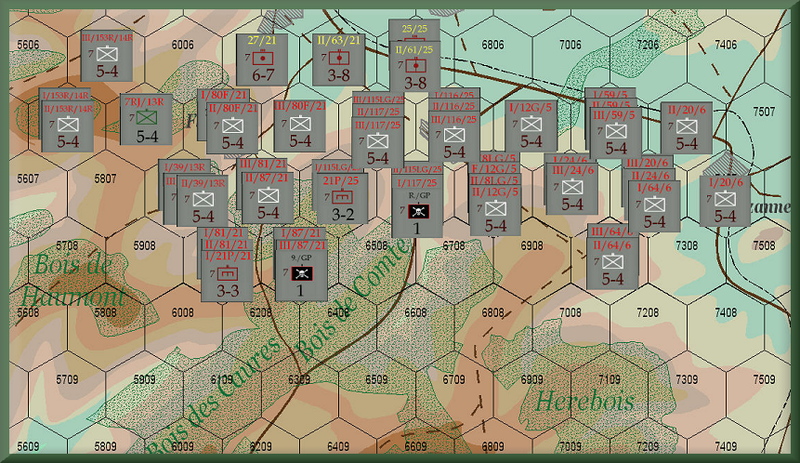 Order of battle map. 22 February 1916, showing two central German Corps. 6. Example of imported GPS data to check accuracy. 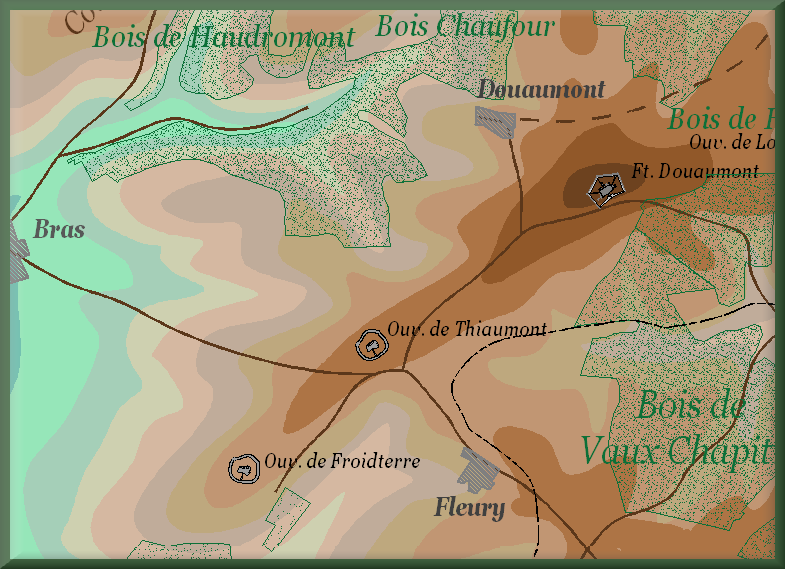 Waypoint 3 is the center of Ft. Douaumont and 2a is the new location of the village of Vaux.